Ephrata National Bank announces the promotion of John N. Stauffer as Vice President and Senior Retail Officer. In this role, Stauffer will be responsible for directing all operational, sales, and service aspects of the Retail Division of the bank including, Branch Offices and the Contact Center in accordance with the bank’s strategic objectives. He will oversee the training, coaching, development and motivation of staff to ensure a positive customer experience and profitability for the bank. 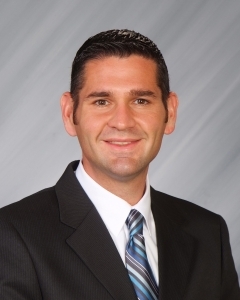 Stauffer has over fifteen years of experience in financial services, most recently as Assistant Vice President and Branch Office Manager at Ephrata National Bank’s Akron Office, where he served since 2009. Stauffer graduated from Millersville University in Millersville, PA, where he earned his Bachelor of Science in Business Administration. He then went on to Penn State University in Harrisburg, PA, where he earned his MBA. Additionally, he graduated with honors from the PA Bankers Association Advanced School of Banking. Additionally, he currently serves on the Advisory Committee for the Advanced School of Banking. He serves as a Board of Trustees Member and Committee Chair with Junior Achievement of South Central Pennsylvania and is an active member of the Annunciation Orthodox Church in Lancaster, PA. Stauffer resides in Lancaster County PA.